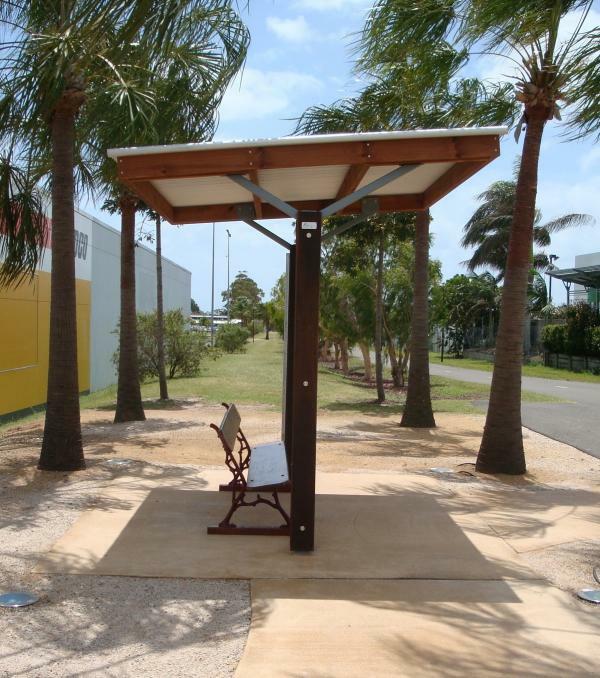 The Buller range of picnic and BBQ shelters takes the lead from the Snowy Skillion and adds a new look with a single 'Y' shaped post at either end. 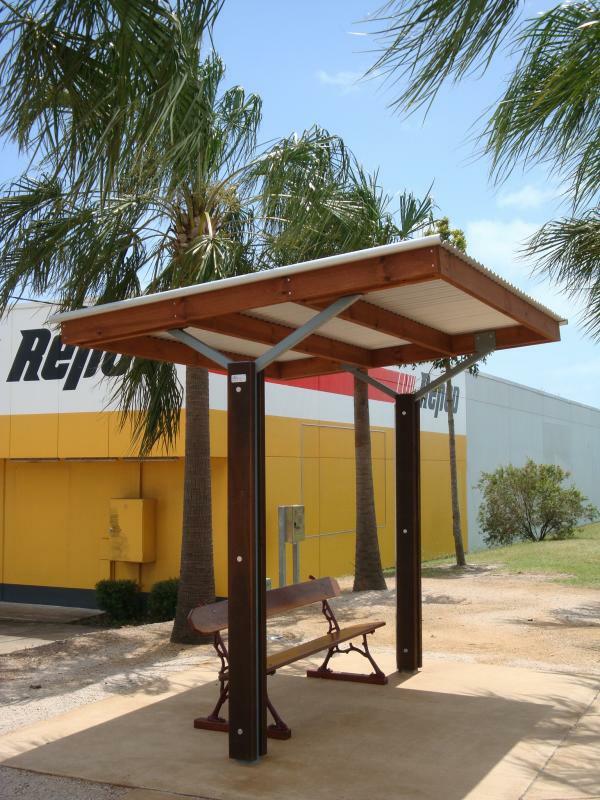 Standard and custom sizes are available starting at 2x2m roof cover. The maximum roof size from front to back is 3.0m using the single post, however literally any length can be achieved as our design is modular. 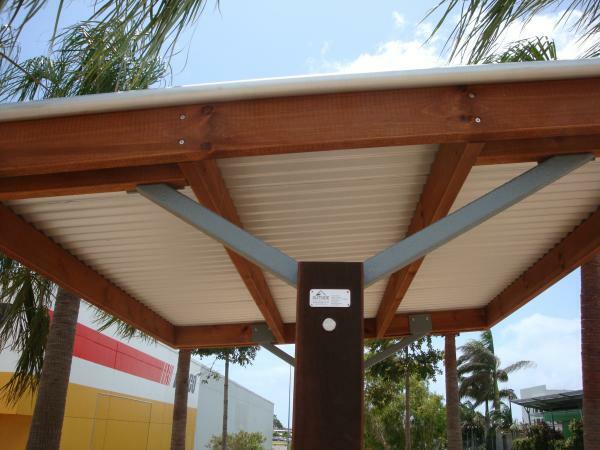 Pre-cut colorbond custom orb roof cladding with gable roll to top and 2 edges - XRW grade. LOSP treated pine purlins and rafters with Wattyl Brush Box oil based stain finish. Full length hot dipped galvanised steel posts.